This page of the Go Bookshelf tutorial shows how the sample app stores its persistent data in Google Cloud Datastore. The sample code for this step provides examples of how to create, read, update, and delete (CRUD) data stored in Cloud Datastore. Replace "projectid" with your project ID. This diagram shows how the application components work together. 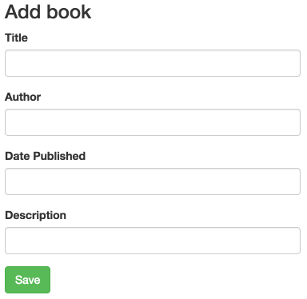 // createHandler adds a book to the database. // AddBook saves a given book, assigning it a new ID. When the user clicks Books, the browser navigates to the /books page, and the ListBooks method displays all the books in the datastore. The statement datastore.NewQuery("Book") creates a query that selects all entities with kind equal to "Book". A single app can store more than one kind in the datastore. The query includes .Order("Title"), which specifies that the results should be ordered alphabetically by book title. // ListBooks returns a list of books, ordered by title.